Where master=”name of your database” the rest will remain the same, the purpose of this query is to find whether the database is inaccessible or not. If the output result is 1 then the data is inaccessible and the next thing you are going to do is apply this query. Where db_name is the name of your database and ‘logical name ’ is the name set by you or the DBA for the database and ‘Physical name’ is system defined and is guaranteed to be unique. 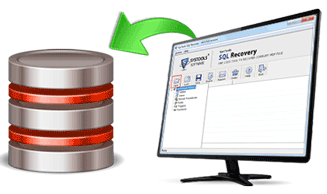 In case if you are unable to retrieve your data back or it got corrupted due the error then you should try using one of our SQL database recovery software which comes handy in such situation and almost instantly fixes the SQL error 945.